8 December 2015, at 12:00a.m. Three investigations presented at the 2015 International Poultry Scientific Forum in Atlanta pointed out issues of farm bacteria, vaccination practices and water usage. “Bacterial Prevalence on Broiler Farms from an Integrator in Alabama” was presented by Katrina English and colleagues from Auburn University and Purdue University, USA. Poultry are common sources for the pathogens Salmonella, Clostridium perfringens, and Campylobacter. Some of these pathogens are often identified during processing but the exact source of contamination can come from several sources, including the poultry house environment, hatchery, and through vectors such as equipment and personnel. In her study, Ms English and her colleagues focused on the bacterial prevalence in the average poultry house environment over the course of a single grow-out period. A survey was sent out to all of the growers for a single integrator in Alabama, to determine what the average farm for this integrator was based on flock history, litter, house, farm, and management characteristics. Based on the survey, four poultry farms were selected for bacterial sampling. All farms had chicks placed within one day of each other and were sampled three separate times at even intervals throughout the grow-out cycle (Day 1, 14, 30). For each sampling, each house was sampled in quadrants by using drag swabs and by taking grab litter samples. A representative sample of twelve birds from each house was also cloacally swabbed. Drag swabs and cloacal swabs were enriched and tested for the presence of Salmonella and Campylobacter, respectively. Litter samples were diluted and plated on the appropriate media to enumerate total - Salmonella, Clostridium perfringens, anaerobic bacteria, and aerobic bacteria. Salmonella incidence for each sampling period from the litter samples ranged from 1.6 per cent - 10.9 per cent, from drag swabs. Salmonella incidence was between 18.8 per cent - 56.3 per cent, and the incidence of Salmonella from the cloacal swabs was between 4.2 per cent - 6.3 per cent. Clostridium perfringens was found to vary from 2.82 Logs to 4.034 Logs, and only two samples, both from the second sampling were positive for Campylobacter. Based on the sampling results, it is evident that both Salmonella and Clostridium perfringens are available and present in the poultry house environment and are a potential reservoir for these bacteria. Clinical problems associated with MPV (metapneumovirus) infection have been observed in broiler flocks in Poland for the last few years. Serological surveys confirm MPV challenge in the field. These results raise the question of whether avian pneumovirus (APV) immunisation should be incorporated into the common vaccination schedule and, if so, what combination of vaccination viruses result in the best broiler performance. 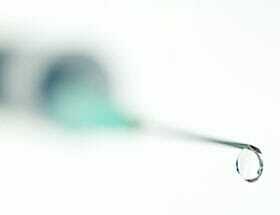 Three different vaccination regimens were observed, including two using MPV vaccine strain at one day of age. Chicks were vaccinated with APV and combinations of Newcastle Disease (ND) and infectious bronchitis (IB) vaccines. The trial was run from April through July 2014 and involved 37 flocks/farms from all over Poland. 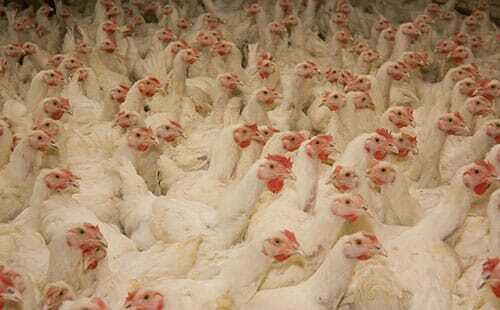 Altogether, one million broilers were vaccinated and tested. Production parameters were evaluated along with serological monitoring of titres, using commercial ELISA test kits; 24,000 assays were completed. The best results were achieved in flocks vaccinated on one day of age with APV + Mass IB + C2 ND followed by field spray on day 14 with LaSota ND and 4-91 IB. Flocks also received IBD vaccine via drinking water between day 18 and day 21. “Variation in water usage between different drinker lines in a broiler house,” was presented by Cody Brown, Michael Czarick, and Brian Fairchild, from the University of Georgia, USA. Water and feed consumption are correlated, making water intake an effective method of monitoring feed consumed. However, there is a deficiency of research on drinking habits in field conditions. 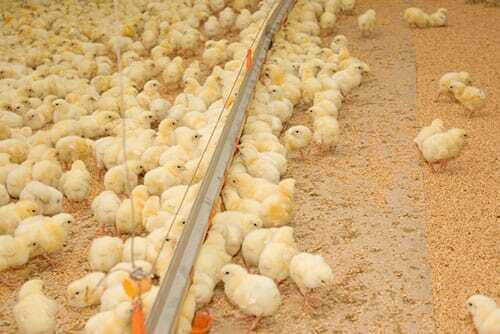 The objective of the current study was to monitor water usage of all drinker lines within a commercial broiler house. The 40 foot x 500 foot broiler house had eight enclosed drinker lines with four in the front and back halves (full house brooded). Ultralow flow water meters were attached to each individual drinker line and water usage was recorded every minute with a data logging system starting at day 7 through a 39 day flock. Drinker line height and water pressure were recorded and efforts were made to minimise variation between them throughout the flock. Water usage patterns of the 4 drinker lines were compared in both the front and back halves of the house. There was no significant difference in water usage between the front and back halves of the house. Water usage tended to be symmetrical across the width of the house. Initially, day 7-10 approximately, the birds tended to use more water from the two outside drinker lines than the inside drinker lines. Between 14-34 days of age, the birds used more water from the inside drinker lines than the outside drinker lines. Water usage between the lines was similar the last six days of the flock. Chicks were unloaded between the wall and the feed line when they were placed in the house which may explain the slightly higher water consumption during the first period. As the chicks spread out using the larger area in the middle of the house they began to use the inside drinkers more. There were some disruptions in the pattern that appeared to be due to feeder and drinker line management.